Halloween2018 — 405 Brewing Co. Put on your costume, get on your broomstick and fly over to the (405) Brewing taproom for a Halloween bash and the release of barrel-aged ESP, a bourbon barrel-aged peach sour! Dress your best for the costume contest at 7PM. Prizes to be given to best solo and best couple! Barrel-aged ESP. We took a 2016 batch of Experimental Sour Peach (ESP) and fermented it in freshly dumped bourbon barrels with probiotics and white wine yeast. 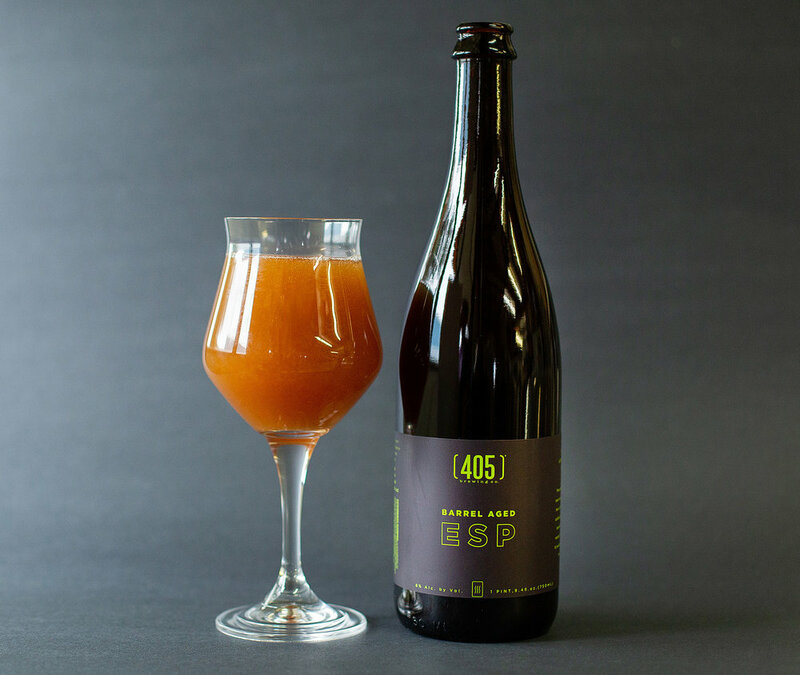 We aged it with two additions of peaches totaling over 600 lbs over 15 months. Bottle and keg conditioned. This barrel-aged peach sour will be available on draft and in 750ml bottles at the (405) Brewing Halloween Bash!